Gorgeous Home inside and out with great curb appeal! This Home Shows like a Model Home! 1700 Sq. Ft. 2bed/2bath plus Private Den, sits on a Large N/S facing Corner lot. House boasts a Beautiful Great Room that is Open to the Kitchen making this home an Entertainers Delight! Crown Molding Throughout, Granite Counters, Kitchen Island, Stainless Steel Appliances, Pendant Lights, Spacious Eat In Kitchen, Custom Pantry Door, Cabinets with Pull Out Shelves. Large Great Room has a Custom Stone Entertainment Center, Wood and Tile Flooring, Custom paint and window treatments are just some of the extras! Large Master with Walk-in Closet, M/Bath has Double Sinks, Step In Shower. Outside you''ll find an absolutely amazing backyard with a relaxing above ground spa! This home is Move in Ready! Interior and Exterior, has been Impeccably Maintained! 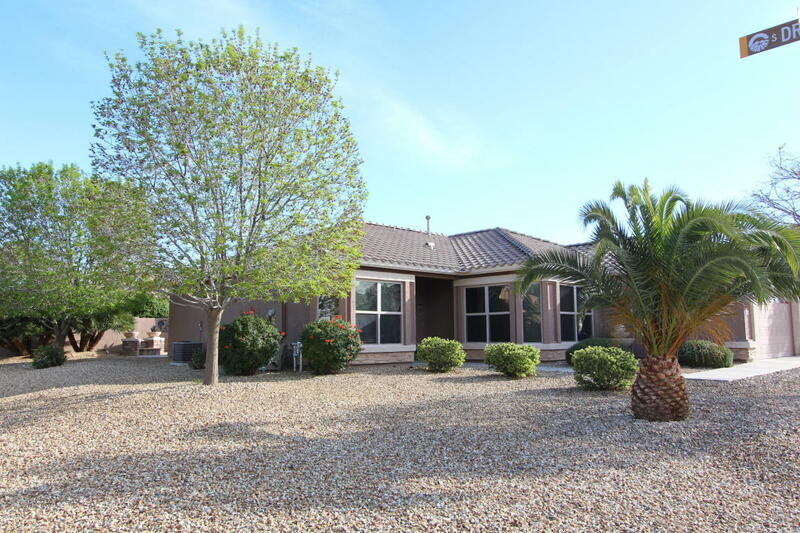 2 Car Extended Garage w/ Garage Cabinets, Epoxy Floor, Soft water, Gas Hot Water Heater. This home is a must see! Solera Chandler is a wonderful gated, golf course community that offers a lifestyle like no other, filled with Wonderful Amenities to Enjoy!